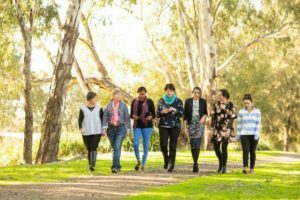 EMERGING female leaders who want to create impact, innovate and make a difference to rural and regional Australia are being encouraged to apply for the 2019 AgriFutures Rural Women’s Award. The AgriFutures Rural Women’s Award has involved about 300 exceptional women from rural communities and industries share their challenges, along with their solutions, to many problems faced in rural industries and communities. The AgriFutures Rural Women’s Award encourages innovation and problem solving, looking for projects and initiatives in various stages of development that offer solutions to rural industries and the communities they support. Projects or initiatives can be commercially focused, providing they still align with AgriFutures’ strategic priorities of innovation, creativity, community sustainability, education, productivity, agribusiness, regional development and technology. Location is also no barrier – applicants can live in rural and regional Australia, or in the city –their applications will be measured on the impact and benefits to rural and regional Australia. The award criteria outlines that applicants are not required to have a specific project to be considered eligible, applications can be submitted based on an idea, an identified problem or opportunity. AgriFutures Australia managing director John Harvey said the award is important as it celebrates success and provides a beacon to an emerging generation of future leaders across the nation. “Now is the time to encourage the female leaders in our communities to apply for an award like this,” he said.